When my husband came home from the store over Labor Day weekend, he said Terry, the produce manager at the Village Market, told him this was probably the last weekend for corn. I’m always shocked how quickly corn season passes. I hadn’t even made my Corn and Black Bean Salad yet! 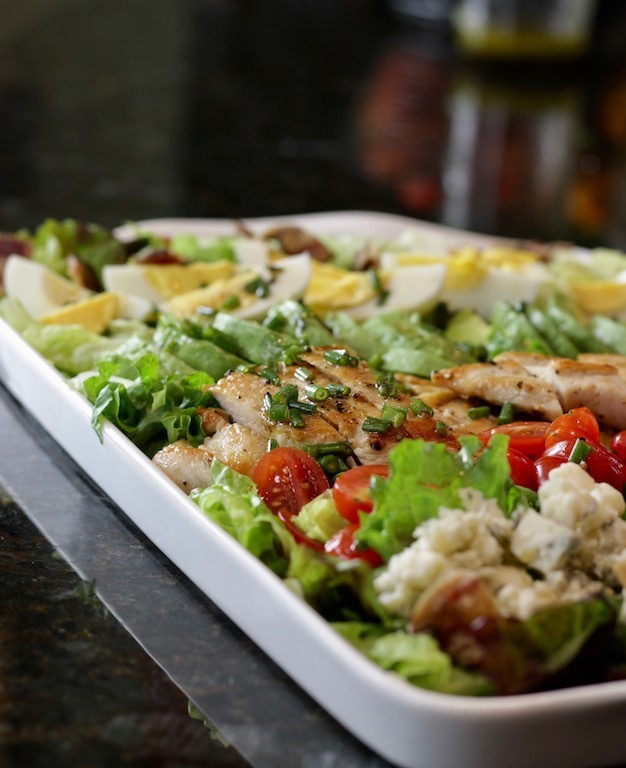 This salad comes together easily. The only ingredient that is cooked is the corn and even that is optional. I either steam it on the stovetop or grill it. To steam the corn, fill a large saucepan with a couple of inches of cold water and a tablespoon of kosher salt. Bring to a boil, add the corn, and cook for 5 minutes. To grill the corn, preheat the grill to high. Brush a little olive oil on the corn, set on the hot grill, reduce the heat a bit, and cook for 5 minutes, turning the ears 3 times. Let the corn cool for 5 or 10 minutes for easier handling and then cut off the kernels with a sharp knife. 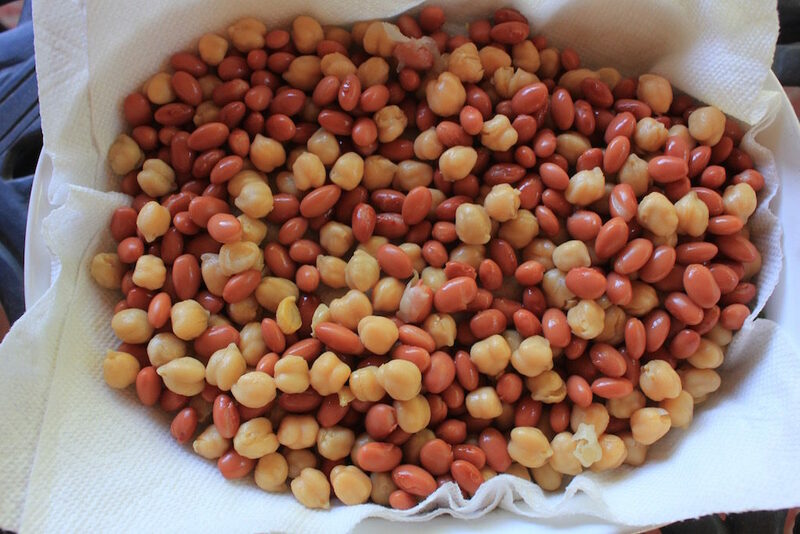 Pop those kernels into a medium serving bowl along with the black beans, tomatoes, cucumber, onion, jalapeno, garlic, cilantro, but be sure to hold back of couple of tablespoons for garnishing the salad, salt, and lime juice. Toss to combine thoroughly. 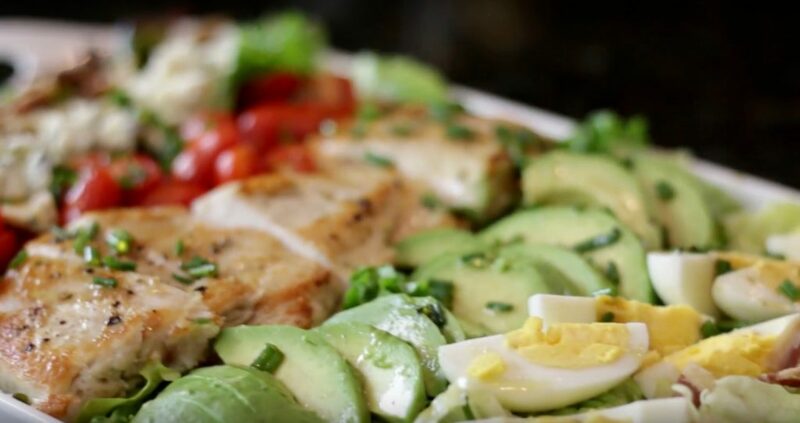 I like the salad to sit at least an hour to let the flavors meld, so I omit the avocado until just before serving to prevent it from oxidizing. The oxygen in the air reacts with the avocado flesh and turns it brown. Nothing unhealthy about it, just not eye appealing. You can also make the salad the day before without the avocado. 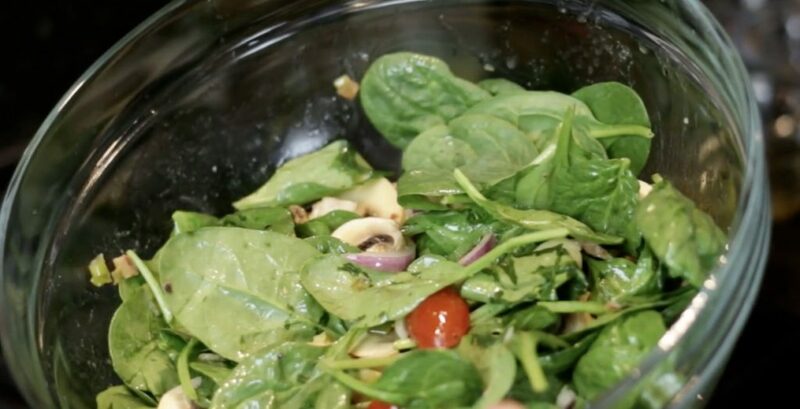 Take the salad out of the fridge a good 30 minutes before serving to warm a little. Lots of flavors and textures in the Corn and Black Bean Salad and it goes with everything – burgers, kabobs, chicken, fish, beef, pork, or seafood, and it’s vegan/vegetarian! 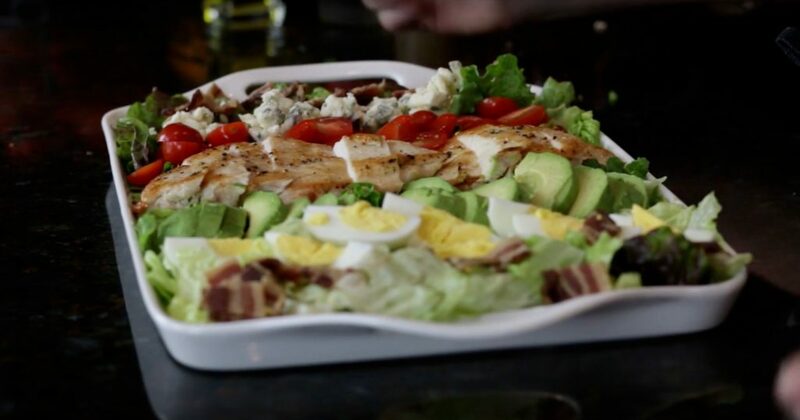 This salad comes together easily. The only ingredient that is cooked is the corn and even that is optional. 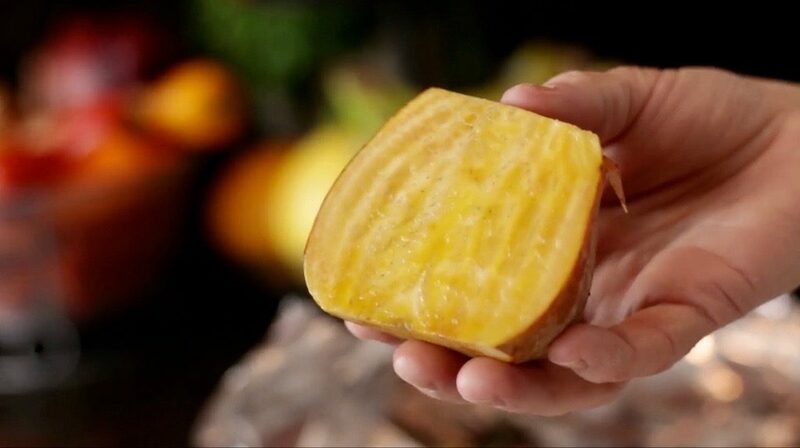 Steam it, grill it, our use it au naturel. It’s colorful, tasty, and the only side dish you need for a meal. 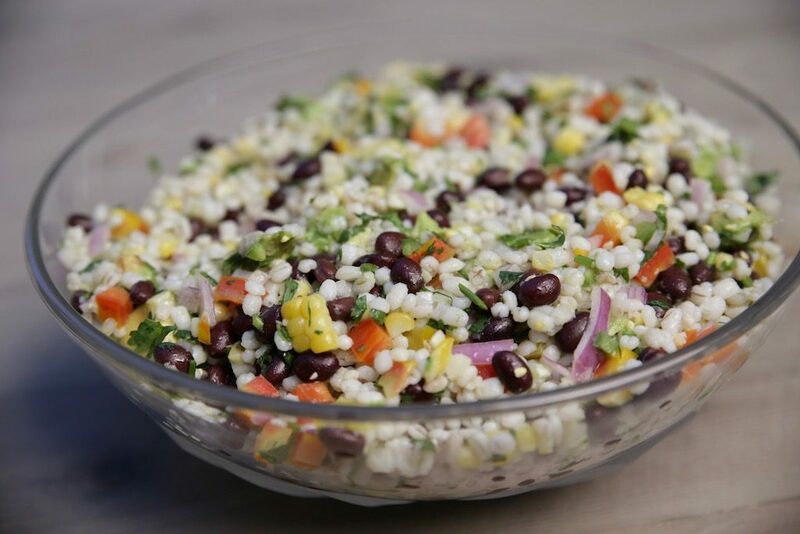 Pop those kernels in a medium serving bowl along with the black beans, tomatoes, cucumber, onion, jalapeno, garlic, cilantro, but be sure to hold back of couple of tablespoons for garnishing the salad, salt, and lime juice. Toss to combine thoroughly. We are doing a series of video releases over the next 100 days or so. Today we’re featuring a Black Bean and Barley Salad. Cold salads are a welcome addition to the summer table. They are made ahead and served cold or at room temperature. I’m always looking for different ways to use fresh corn. The season is so short and canned or frozen corn is no comparison to the freshly picked cob. So, in addition to eating corn off the cob, I put it in lots of salads. It’s great in mashed avocadoes. Creamed corn, gently simmered in shallots and cream with some fresh tarragon is also another great way to use corn. And, of course, don’t forget corn chowder! Try this quick and easy Black Bean and Barley Salad. 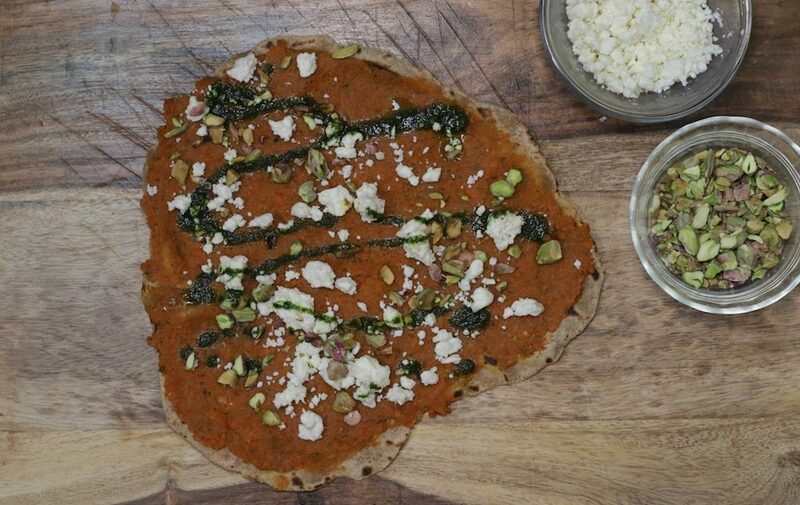 Make a double portion – leftovers are great! 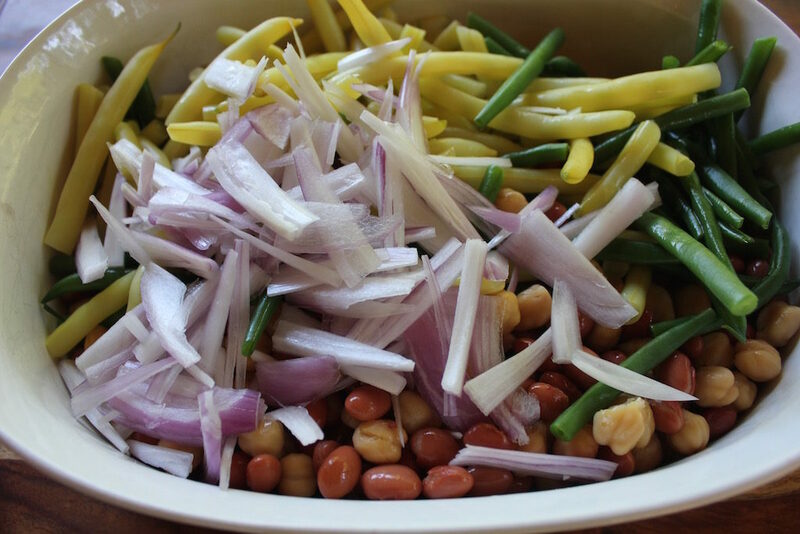 A quick and easy summer salad – perfect for picnics and barbecues. 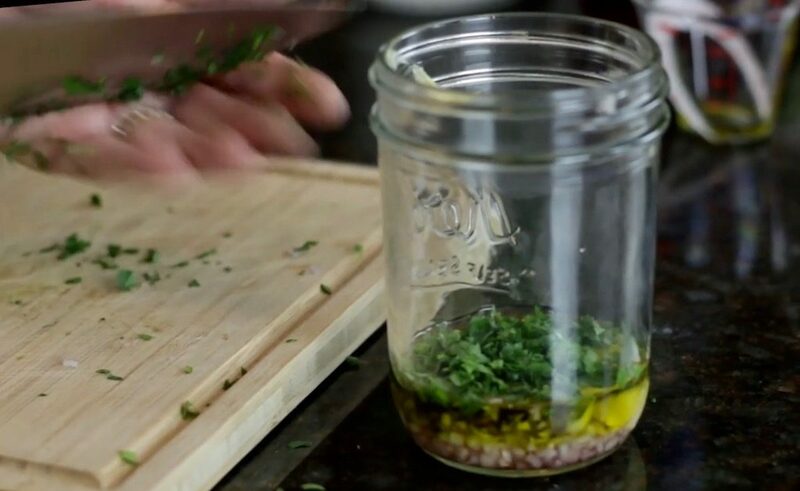 Combine the oil, lime juice, garlic, salt and pepper in a covered jar and shake or in a small bowl and whisk. Either steam, roast or grill the corn. Let cool a bit and then remove the kernels, scrapping the cob with the knife blade to remove the corn milk, too. Combine the corn, barley, beans, pepper, onion, jalapeno, avocado and cilantro in a large serving bowl. Shake or whisk the dressing, pour over the salad and toss. To cook the barley, fill a medium saucepan with 6 cups cold water and 2 teaspoons kosher salt. Bring to a boil and stir in the barley. Once the water returns to a boil, lower the heat to a simmer and cook for 25 minute, or until tender. Drain and cool a little before adding to the salad. I’m a big fan of loose leaf lettuce such as green and red leaf lettuce with their curly edges and the dark green flat leaf Romaine. These greens are versatile. Use them to line platters or bowls. 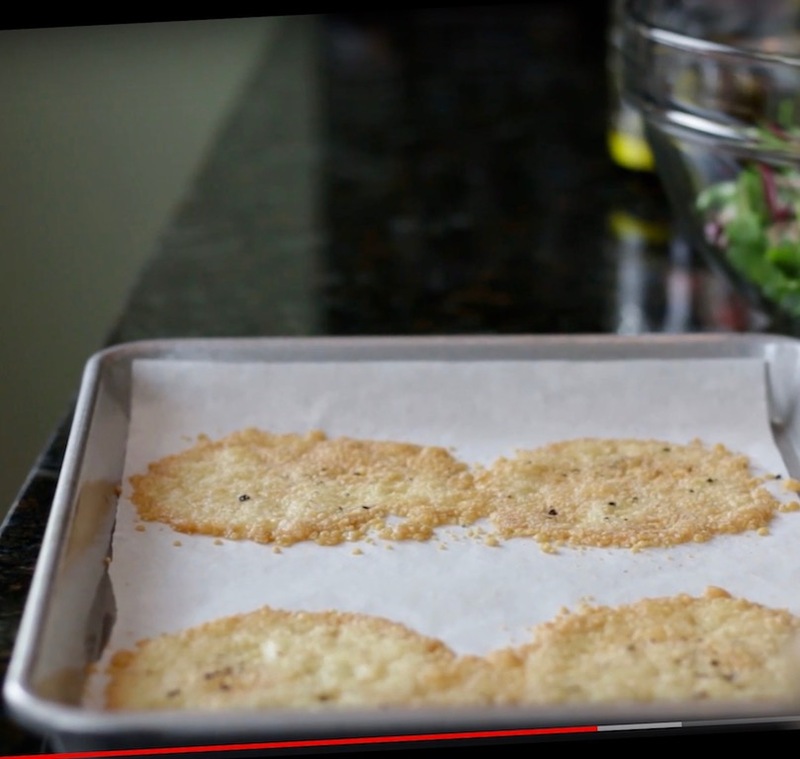 All three are perfect on sandwiches, they’re crispy and cover the sandwich edge to edge. And, of course they make delicious salads. To clean, remove the core by slicing the end off. 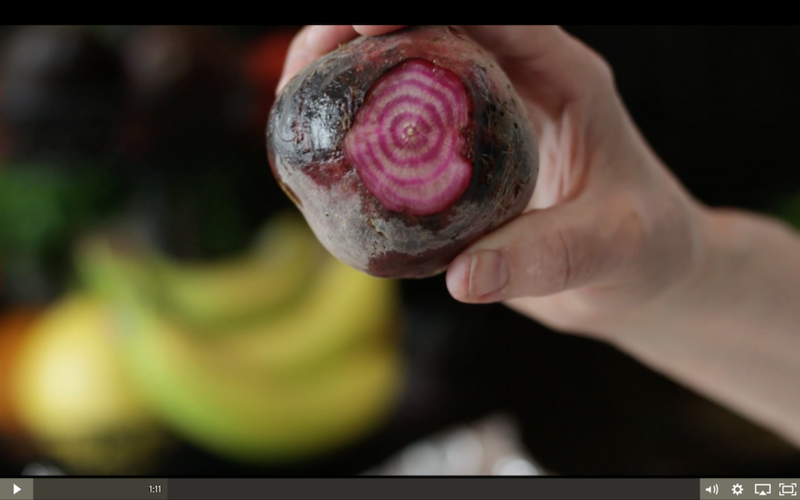 As you get to the center, slice away the inner core. 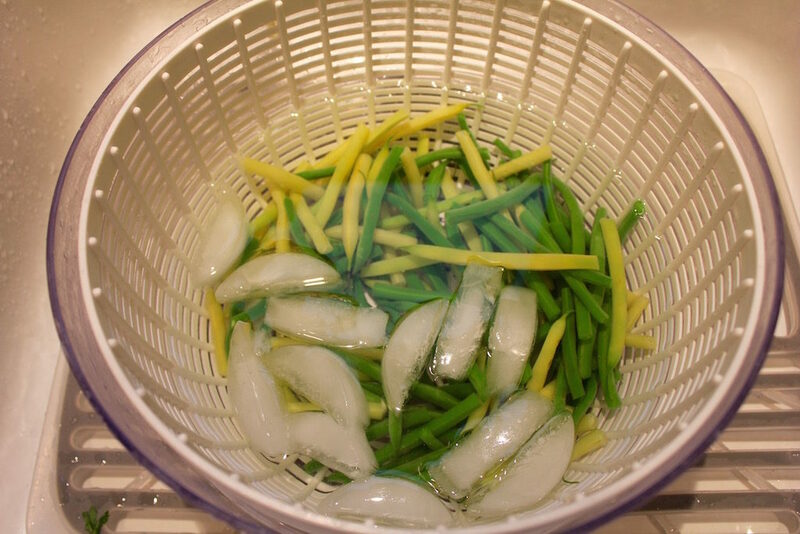 Place the loose leaves in a large bowl of cold water and gently swish to remove dirt and/or bugs. Swish the red leaf lettuce gently, it’s more fragile than green leaf and Romaine. Drain, and rinse again. The lettuce is clean when no grit remains on the bottom of the bowl. Spin dry and lay flat in one layer across a length of paper towel. The residual water on the lettuce is absorbed by the paper. The water is necessary to keep the lettuce crisp but if it remains on the leaves, the lettuce rots quickly. Green leaf and Romaine last 7-10 days when cleaned and stored properly, especially the ones purchased at the farmer’s market, which are so fresh. Red leaf lettuce is fragile and should be used within 3-4 days. 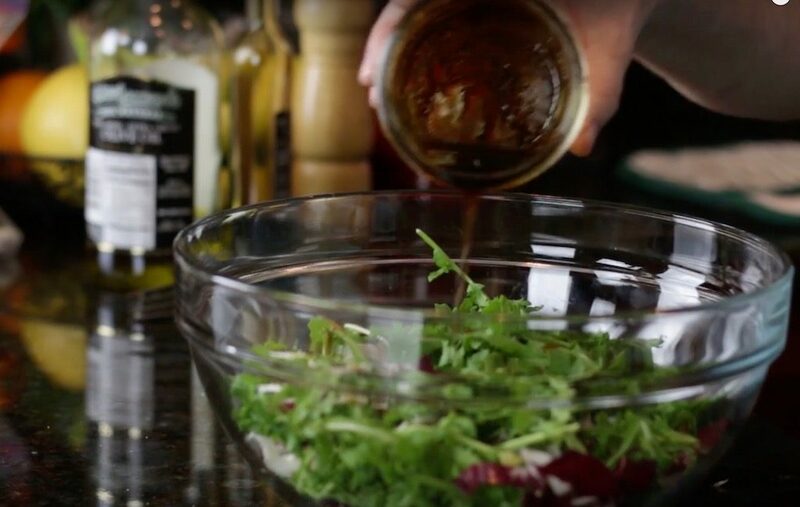 These greens stand up well to vinegar-based dressings, such as our French Vinaigrette. Romaine is the lettuce typically used in the classic Caesar salad. 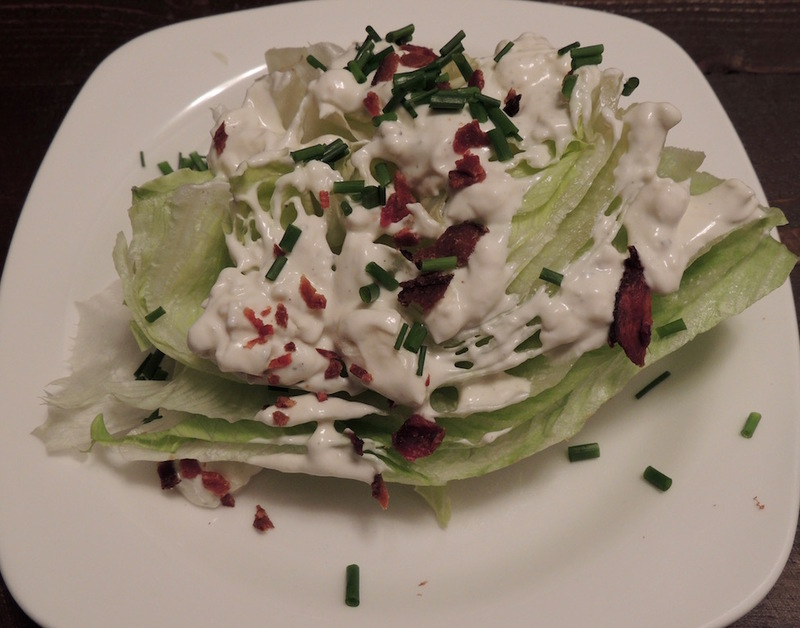 Use whole hearts of Romaine drizzled with a creamy dressing for a different presentation. 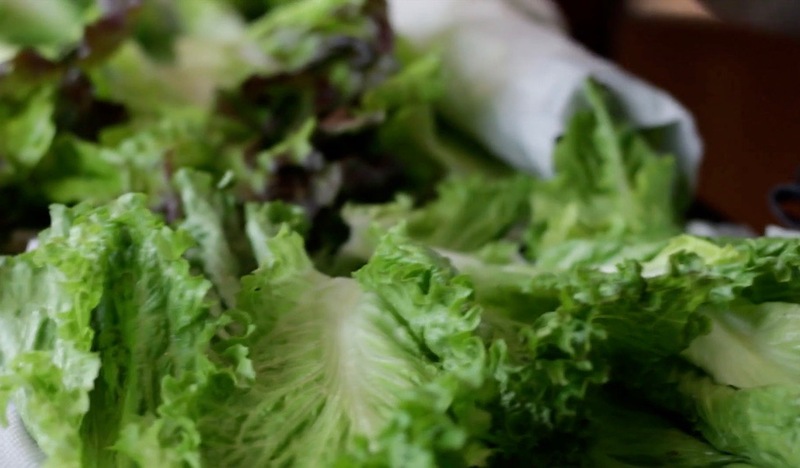 Farmer’s markets are still providing an abundant supply of lettuces. 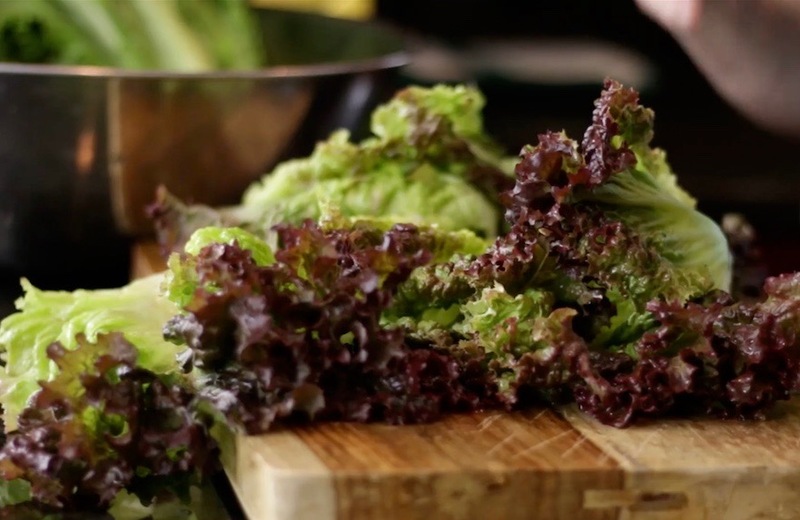 In this upcoming video series, we look at lots of different kinds of lettuces and how to clean and store them. We start with tight head lettuce. These lettuces grow in the shape of a ball with tightly bound leaves. Outer leaves that are wimpy or bruised, pull away and discard. Give a quick rinse and you’re good to go. Let’s start with the ubiquitous Iceberg lettuce. This was the only lettuce available when I was a kid. We had it in every salad and on sandwiches. It’s not a bad lettuce, just a little boring in comparison to so many others that have more flavor and color. Iceberg has a light green exterior color and is almost white at the center. 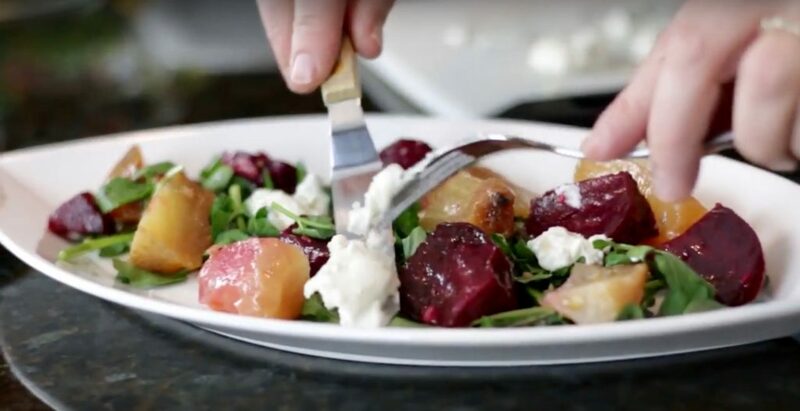 The flavor is mild, which makes it such a perfect host for rich, creamy dressings like Blue Cheese or Thousand Island, a classic steakhouse salad with crumbled bacon bites! 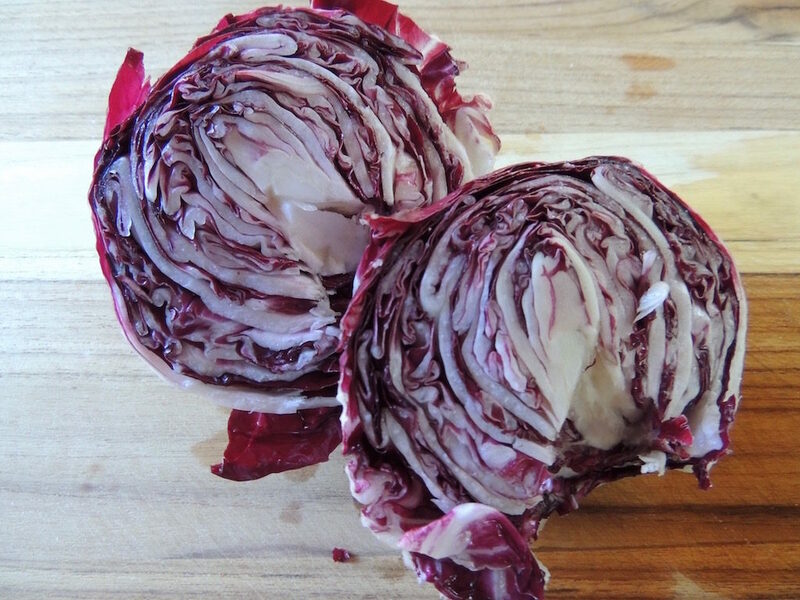 Radicchio is a bitter Italian lettuce that is primarily red with white veins. 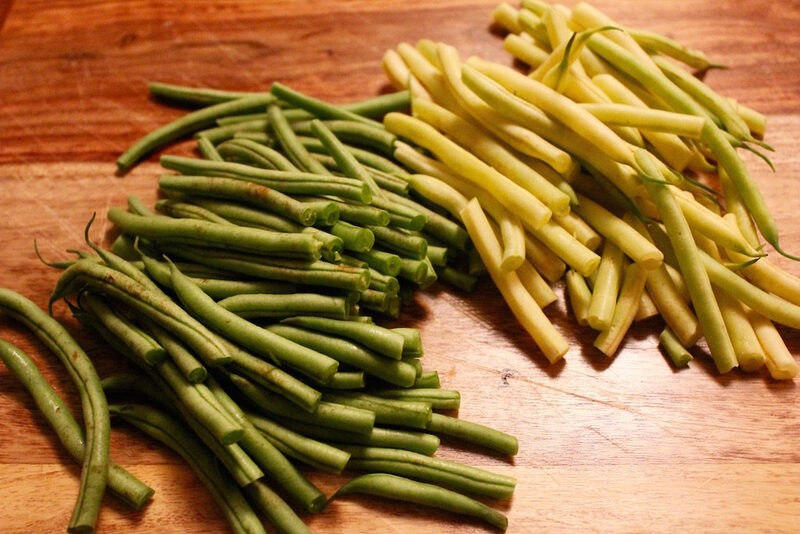 It is crisp, crunchy and can be served cold or grilled. I like to chop the leaves and serve along with arugula and endive, also known as a Tri-Color Salad. 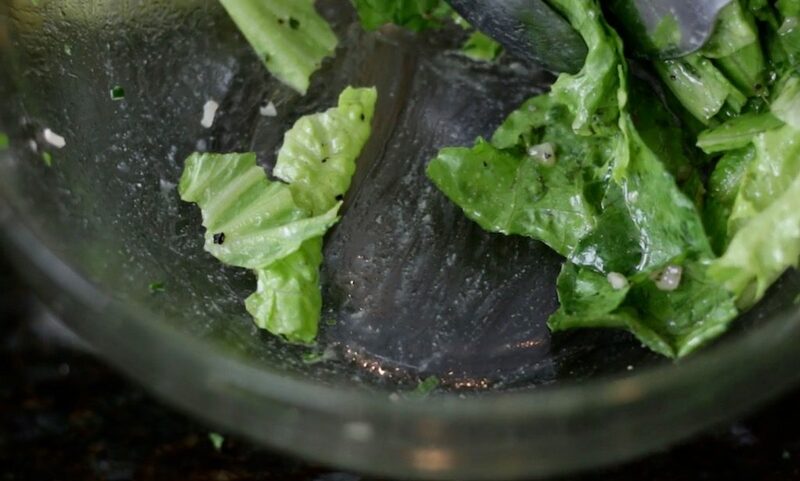 These three lettuces are bitter and a balsamic vinaigrette is most commonly served as the sweetness of the balsamic complements the bitterness of the leaves. I’ve included Belgian Endive in this group. The leaves are tightly bound and cleaning and storing are the same as for Iceberg and Radicchio. 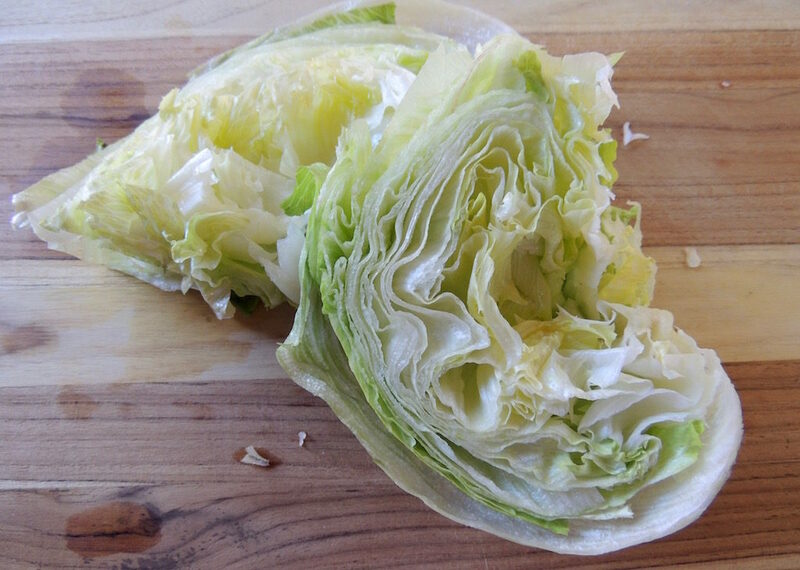 The Belgian endive is a delicate lettuce with pale leaves from growing underground. The edges of the leaves begin to brown quickly. Buy and use within a day or two. It’s another bitter lettuce and can be used in salads or as a vehicle for a spread, such as chicken salad or a blue cheese spread, for hor d’oeuvres. 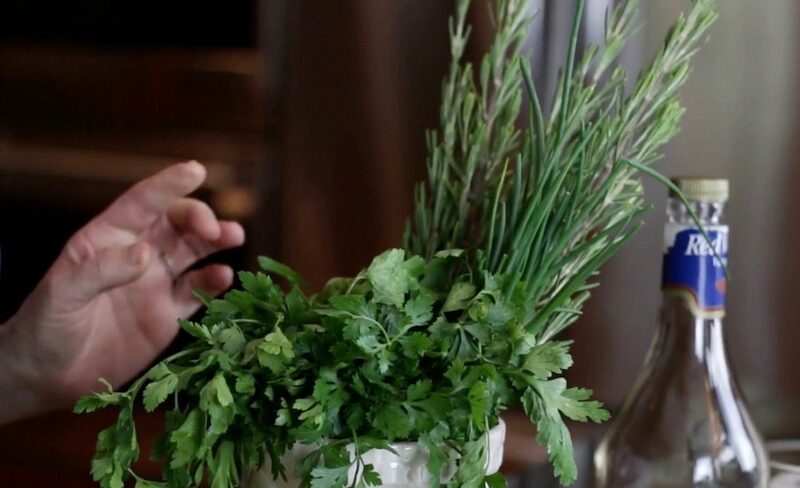 In the video we discuss using the leaves whole or chopped. To store tight head lettuces, place a damp paper towel in the bottom of a plastic container or sealable plastic bag and place the cleaned lettuce on top. Remove the air and seal. The Iceberg and Radicchio will last a good week. 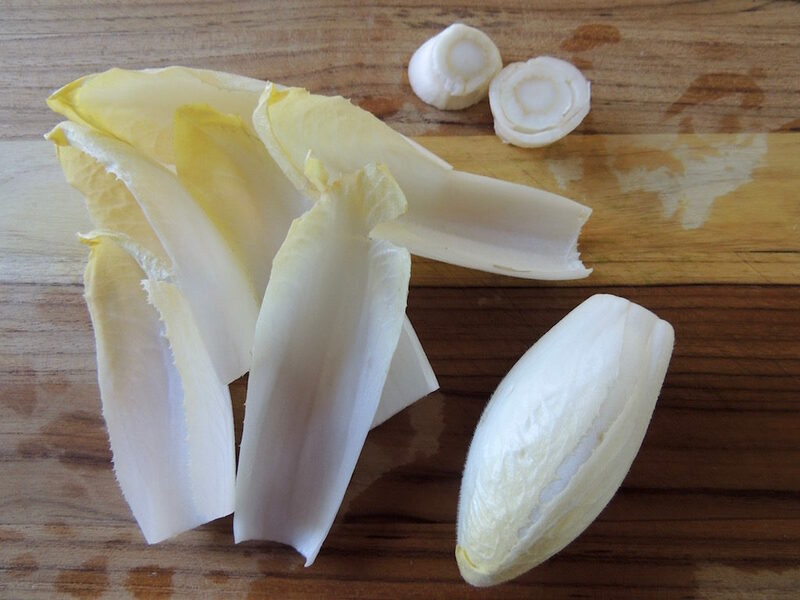 The Endive should be used within a day or two. Watch the Tight Head Lettuces video here.